BOS-US Resilient-Seated Butterfly Valves feature an uninterrupted seat design, one-piece body, solid one-piece shaft and a high performance resilient seat. Sizes 2-20” (50-500mm) feature seat bonded to the body while sizes 24” (600mm) and larger feature a seat bonded to a solid backing ring. 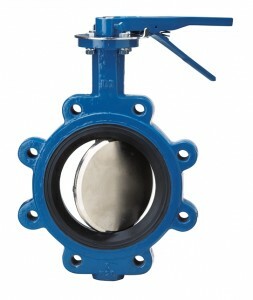 Bubble-Tight, full rated bi-directional shutoff; lugged valves provide dead end service to full valve rating. D10459 - IM VALVE BOS-US 2-20"
D10348 - IM VALVE BOS-US 24-36"